Want to stress less and bounce back from the challenges of life? Get moving! Exercise gives you more than strong muscles, a fit bod and a healthy heart. It has been shown that exercise can help make us better at ‘bouncing back’ from things that upset or worry us. There is good news students at the Ourimbah campus with the gym on campus (Exercise and Sport Science Building) being free to all UON students. It’s opens from 8-6pm Monday to Thursday and 8-12 on Fridays. For more information you can visit the Ourimbah Gym Clinic Facebook page. For more tips and support on exercise, managing your stress and mental health care check out the counselling website or call Student Support Services on 0249215801 (Callaghan) 0243484060 (Ourimbah) 6581 6200 (Port Macquarie) and 8262 6400 (Sydney) and ask to see one of the Student Support Advisors or Counsellors. Eating Disorders are not about food…. Recently I got an e-mail from a colleague asking if we had a tip sheet to give to students about what to do when a friend or family member they cared about has an eating disorder. You see we recently reviewed and replaced a lot of our tip sheets and there were a few areas we didn’t do. Some were an oversight, like the one on Sleep (we will do this one so stay tuned). Others were because we identified organisations that had good fact sheets that we didn’t think we could improve on. One of these organisations was The Butterfly Foundation, who have a number of fact sheets on different eating disorders and also how family and friends could be supportive. Given there are good resources in existence here I thought a link to them rather than creating our own would be a better idea. If you are worried about a friend and suspect that it might be an eating disorder, or anything else then it’s a good idea to let them know you are worried. You could suggest they talk to their GP about it or if they are a student at UON they could see a Student Support Advisor – Health and Welfare to talk about their options for support. People with eating disorders often feel isolated and alone so stay connected with them and include them in your activities and invitations, even if they often say no. Act normally around food and remember that it’s not your job to tell them what and when to eat. Have conversations about things not related to their eating disorder and encourage them when they are making progress. If you are interested in contributing to the development of new resources around getting help and information for Eating Disorders then you can participate in a Community Focus Group being run by the Hunter Institute of Mental Health. The Newcastle focus group is on Saturday the 30th April and Sydney is Thursday 28th April. For more information contact Jessica Roberts (Jessica.roberts2@hnehealth.nsw.gov.au). Money is the bane of existence for most uni students! It can be so tough finding that balance between making enough money to survive and having enough time to complete the content and assessment for university courses. A good budget is essential for success. The MoneySmart website provides some great information and resources for all your financial needs. My favourite tool on the website and one that is most relevant to uni students is the budget tool. This budget calculator can be accessed on the website by signing up to MoneySmart or you can download the excel file from the website. It is so easy to use and the best feature is the fact that it does all the maths for you! There are different categories which include most of the areas we spend money on, there are also options to adjust categories to add your individual spending needs. You can choose to plan weekly, fortnightly, monthly, quarterly or annually and there is a sections for savings! There is also an app called TrackMySpend that helps you monitor your outgoing expenses and track your progress. What’s good about it: Free, easy to use, no calculators needed and it’s pretty comprehensive. What’s not so good: It doesn’t magically make more money appear! W elcome back everyone, I thought the fist week back after the break would be a good time to talk about balance. 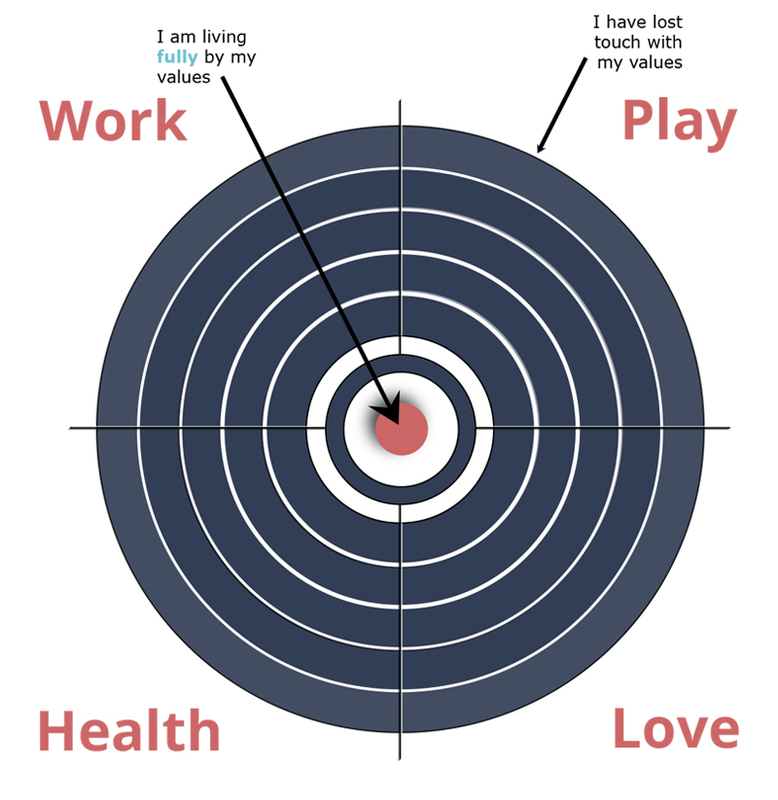 Russ Harris, an Acceptance and Commitment Therapist, uses the bullseye diagram to highlight different domains in our lives such as work/education, leisure, personal growth/health and relationships that are all important and all deserve attention. Finding a balance between these areas is important for well-being. I have often wondered if having a completely balanced life is even possible, it is certainly one of the things I find most difficult in my life. I feel like I am always leaning heavily to one or two areas. My usual focus points are family and work, this means that I often have little to no time for exercise or relaxation. This is crazy because I KNOW that when I am taking time for exercise and relaxation that I function much better in all other areas of my life. Even writing this I notice the negative mental chatter starting…”You should be doing this”, “you should be doing that”, blah blah blah!! Then I remind myself that I am human, and finding balance in life is a constant readjustment. If you imagine a tightrope walker – swaying a little to this side then a little to that side is completely normal – the aim is simply not to fall completely off one side. Talking about balance is important. I know it reminds me to be aware of what is happening in my life and make those necessary adjustments to regain some balance. I hope it prompts you to consider your own situation and whether or not you are leaning to one side. If you are, don’t stress, it is normal. It just serves as a good reminder of things we may have forgotten! There is a great tipsheet on our website that talks about balance and well-being. If you are worried or would like to talk to someone about how you find balance in your life, you can contact 4921 5801 to book an appointment with a Student Support Advisor. If you would like to know more about the bullseye diagram or Acceptance and Commitment Therapy (ACT), there is some great information on this website. I hope you all have a balanced week! Wow, I can’t believe the second week of semester break is already coming to an end. This year is just flying by! I hope everyone has had a good break and has taken some time for relaxation and self-care in preparation for getting back into Uni. The next blog post will talk more about the importance of finding a balance in your life. Today I just wanted to encourage everyone to take a few minutes to do something you really love. It might be going to the beach, sitting under a tree, reading, connecting with someone special in your life, going for a run or simply enjoying the peace and quiet (for all those parents out there)! Life often gets too busy for huge chunks of relaxation and fun. 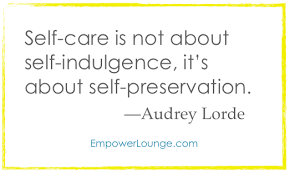 However, it is amazing the difference that can be made by consciously choosing to do some self-care for a only a few minutes a day. What are you going to do today?